You’ll have to cut up a gameboy link cable to do this one. You can probably use any pins you like, I chose these because they are next to each other. Yeaahh, you finaly have it working ? How did you solve it ? Would you believe most of my issues were low battery related? lol really, that was it? I geuss you dont have the original power supply for the printer then ? Or is it powered by the GB ? It’s supposed to be powered by batteries (6xAA). But I modified mine to use a 9v power supply. I wonder if my local computer museum has a GB Printer. 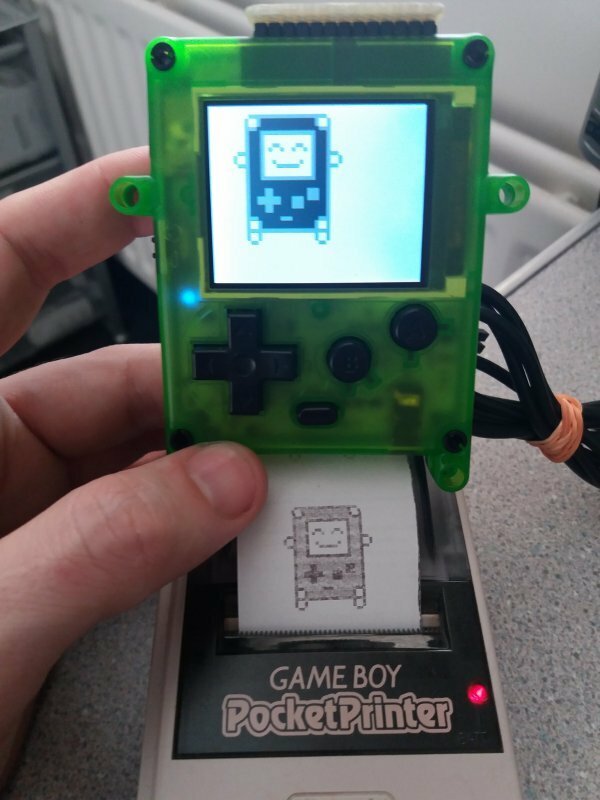 Is the next step to try and connect the gameboy camera to the pokitto? I have too much camera gear as it is. I was more wondering how inspired you were on this theme and whether it was a actually possible to wire something into the PEX that could connect a GB game cart. Look my face, it comes to my GB photo. My friend just give me a GB printer from Japan. But I don’t have papers using it. Maybe I can buy some commeral paper and cut it suitable size. You can buy the correct size from eBay etc. However I just asked at a local store for some left over receipt paper, as there is usually a little left on the roll, then I just cut it to size.